An annual week-long residential summer camp serving approximately over 100 young people, ages 7-20, living with bleeding disorders, known carriers, and their siblings. One of the first camps to focus on this constituency in the country, Camp Hemotion is widely recognized as a model program. In its 40 years of existence, Camp Hemotion has served as HFNC's primary way to reach young people and provide them with the tools they need to overcome the challenges presented them by their illness and lead healthy, vibrant and, importantly, full lives. Specific strategies employed during the Camp session to bring about these outcomes include: Self-infusion training - medical professionals help campers learn how to mix their own medicine and inject intravenously into their arm or hand as easily, painlessly and effectively as possible. 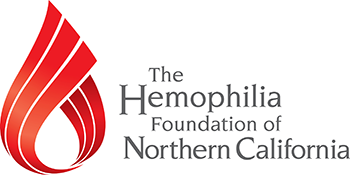 This is an important right of passage for children with Hemophilia as most often their parents have performed this task since they were infants. 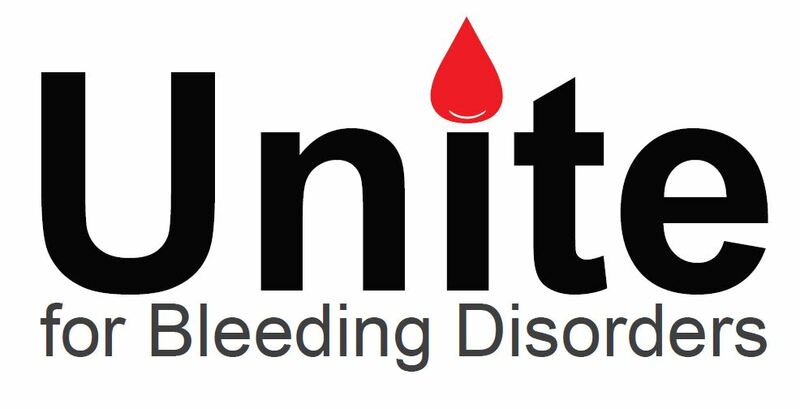 Learning self infusion is a critical step toward independence, as the intravenous medication is required sometimes as often as daily to sustain life for people with hemophilia. 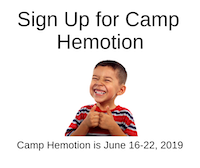 Camp Hemotion 2019 Dates: Campers June 16-22. Counselors arrive the day prior (June 15) for training, orientation, and camp prep.